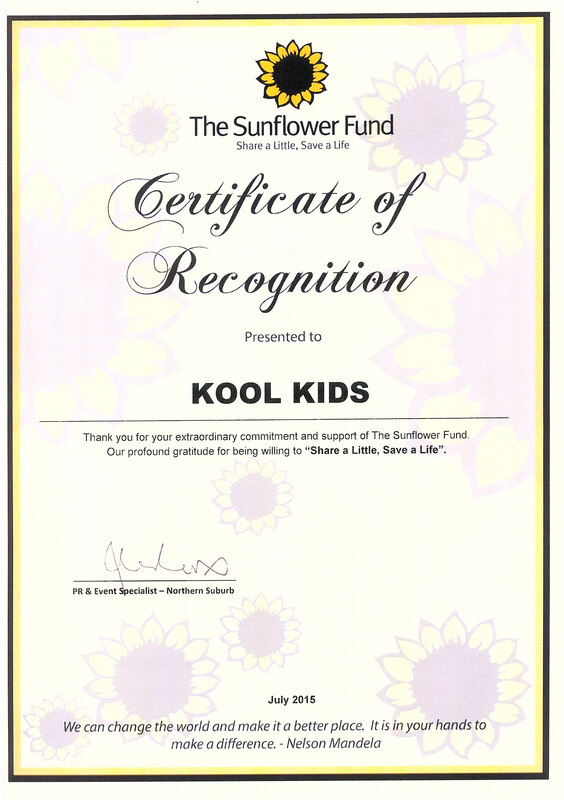 Kool Kids was awarded “Certificate Of Recognition” by the Sunflower Fund!! I tried to send this email on Monday, but somehow it just never found its way to you guys. I would just like to update you on what my clowns have been up to these past couple of months. They both joined a hiphop dance class earlier in the year. Since then, things have been crazy!!!! I feel this newfound confidence was born when they both joined the Koolkids Casting Club, cos my kids are super cool like that!!! Confidence & punctuality is what they’ve learnt from going to castings. Jaydon was randomly entered into a dance comp last week Saturday, and will be representing SA in Croatia nd Venice in May 2015. Whoop!! …. They both auditioned for International Arts in May this year, and made it thro to the next round in Joburg, this weekend where they will be acting and dancing on Friday nd Saturday night at Monte Casino…. I really cant help but wonder where all of this started….. I know…. It started wth them being part of an awesome Casting Agency , Koolkids… I had to update you ladies on their achievements and dreams they have for themselves for the future….. Thank you so much! Do you know that the KFC Milkshake advert was rated No.5 in the Financial Week Magazine! There is a lovely write-up about the advert and a pic of her! We are very proud of her and thanks to Koolkids for making her a little star! Take care. Nicky, Bernhardt had such fun on friday and wanted me to thank you for the experience. Good Morning Nicky, Thank you very much for the opportunity in allowing TV to be on the PEP advert. We appreciate it very much and we are grateful for allowing our baby to be advertised all over SA. The cast of that shoot was very impressed with how Tia conducted herself, and mentioned to me, that we must keep on letting her do what she is meant to be doing one day, as she will go far. Once again, thank you for the opportunity. Much appreciated. Kayla V. L. played the lead girl in the commercial who I believe is on your books. You’ll be pleased to hear she was excellent on set. Hi there Nicky. We like to thank you a lot for what you have done for our child and that makes us be greateful that we have chosen you to work with our child. We appreciate the first class service that you are dishing out to us. Thank you very much! Yesterday we got calls from family and friends who indicated that they had seen the ad on TV. 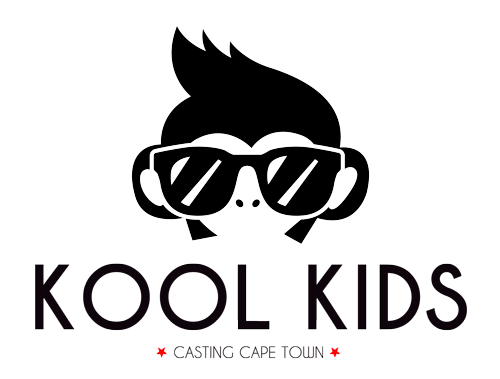 Thanks as always for your support and assistance–always much appreciated!